This laptop came in with complaints of overheating and random shutting down while in use. It seemed like the fan was not spinning. 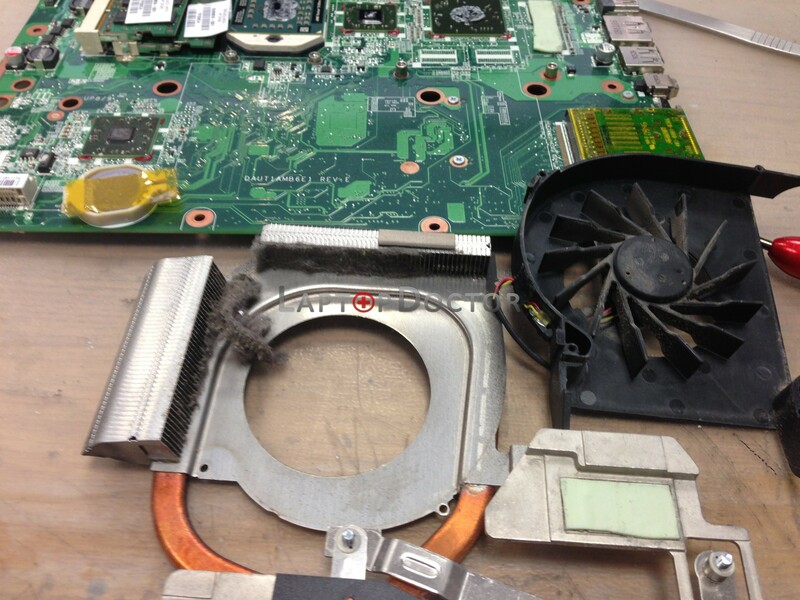 We took the machine apart (yes we make it sound easy), and found the fan had become clogged up with dust, and as a result the fan motor had burnt out. Also, the dust had got into other parts of the laptop, and was blocking the vents where air would normally escape. We replaced the faulty laptop fan, cleaned all the dust out and replaced the worn thermal paste with new high quality Arctic MX4. Result: cooler and happier laptop! ‹ Macbook Pro 15′ not booting.